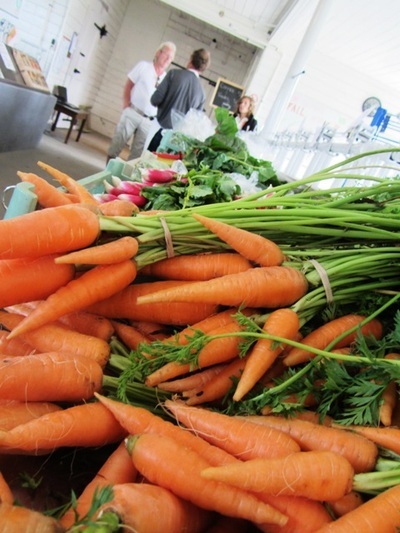 If you are a history buff who loves a good farmer’s market, you may want to take a tour of Tranquille Farm. At the time when British Columbia’s first hospital for the treatment of tuberculosis opened near the mouth of Tranquille Creek, it was one of only a few in Canada. The facility, which was proposed in the 1890’s, was slated to be built at the foot of Bachelor Hill but stern opposition from the residents of Kamloops moved it farther out of town. 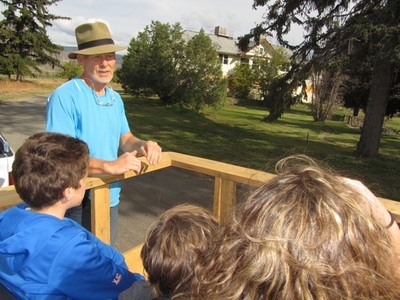 The Fortune family ranch at Tranquille had been purchased by the Anti-TB Society and the original farmhouse was used to house the ill until the sanatorium was built. The sanatorium admitted its first patients on November 28th, 1907 and within a month the facility was operating at full capacity. Having been partially funded with the gift of money given to Sir Ernest Cassel by King Edward the facility was renamed the King Edward Sanatorium in 1911. The facility received some much needed federal funding in 1915 to treat soldiers suffering from tuberculosis. A cure for TB was found in 1957 and the sanatorium was due to close giving rise to a new problem. The citizens of Kamloops then grappled with the question of what to do with the small city which now included a school house, fire hall, power plant, hospital, laundry and farm. In September of 1958, it was decided that it would be used as a home for “mentally defective” adults between the ages of twenty and forty years old who were at risk to the community. The first patients arrived in July of 1959. By the 1970’s institutionalization was no longer viewed as being in the best interest of patients and it was announced that Tranquille Farm would be phased out by the end of the 1980’s. Many people lost their jobs and the government was left with the problem of what to do with the property. The province put the property on the market in 1988 and it was purchased by Giovanni Camproese who renamed it Padova City after his hometown in Italy. He planned to build a multi-faceted destination resort but when this didn’t happen a reluctant government resumed ownership in lieu of taxes and it became the City of Kamloops problem. The property remained abandoned for years being occasionally used as a movie set for such projects as the mini-series “Alice”, “Firewall” starring Harrison Ford and “A Team” starring Liam Neeson and Bradley Cooper. However it was the MTV series “Fear” that had the biggest impact on the property – one that remains to this day. 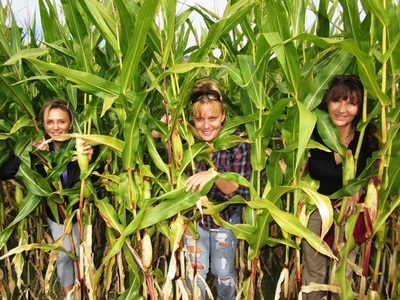 The program followed a group of contestants being left at an allegedly haunted location and led them on a series of dares over two nights to explore and confirm whether or not the place is haunted. The group determined that Tranquillle was in fact haunted thus spurring countless numbers of people to trespass in search of ghosts often breaking windows and damaging the fragile buildings. The current owners are certain the place is not haunted and that the group only claimed it was to boost the show’s ratings. They are in the process of returning the property to its farming roots. 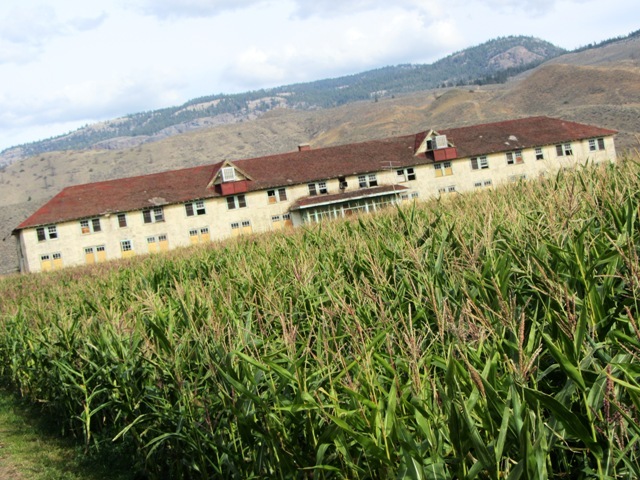 In its heyday the Tranquille Farm was producing the majority of food and dairy products for the 1,000 staff and patients working and living at the neighboring Tranquille Institution. The site has been renamed Tranquille On the Lake and will become home to a sustainable Master Planned Community of approximately 4,500 people.